There’s nothing we love more than seeing our clients grow and expand their businesses… especially when we get to help them do just that! You’ll remember seeing Bliss Bridal Magazine’s launch on our blog awhile back, where we unveiled a trendy design for this leading wedding industry publication. 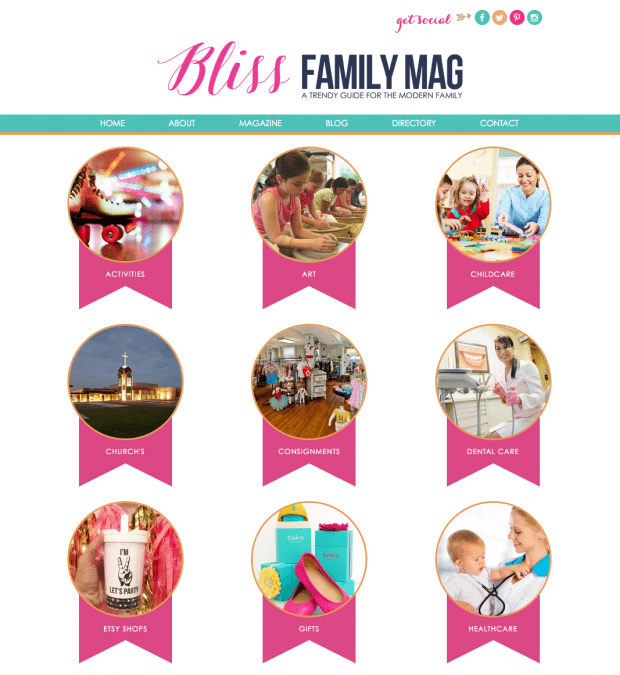 Today, we’re launching an extenuation of the Bliss Bridal Magazine to a new segment: Bliss Family, a trendy guide for the modern family. 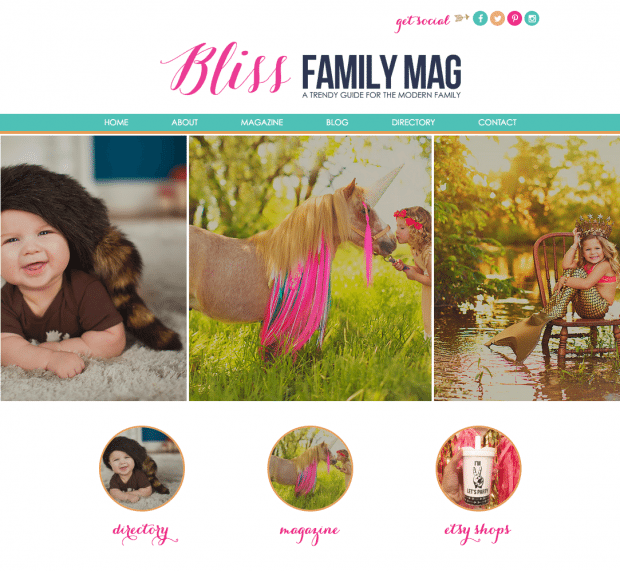 This new look keeps Bliss’s overarching brand in mind, but gives Bliss Mini a style of its own. Bold colors and friendly modern fonts make this segment of Bliss a little more family-friendly than its haute couture bridal complement. We think Bliss readers are going to love transitioning from a Bliss Bride to a Bliss Mini family!